Clear skin starts from within. We combined the Who's Who of the botanical world in Daily Cleanse to help detox your largest organ (the skin), as well as the liver, bowel, kidney, lungs and lymphatic system. 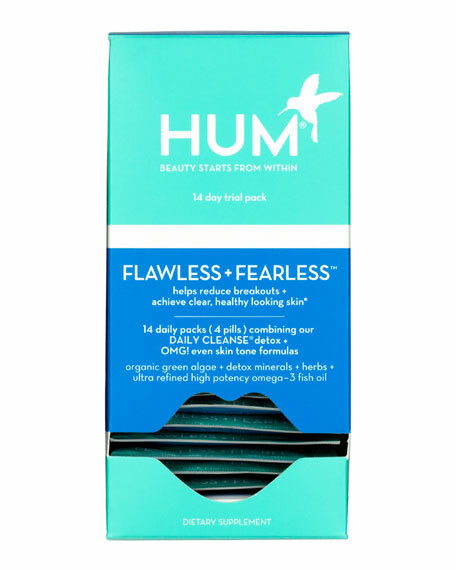 Be Fearless with Clear + Flawless skin. This dual approach combines your 2 skin care favorites. 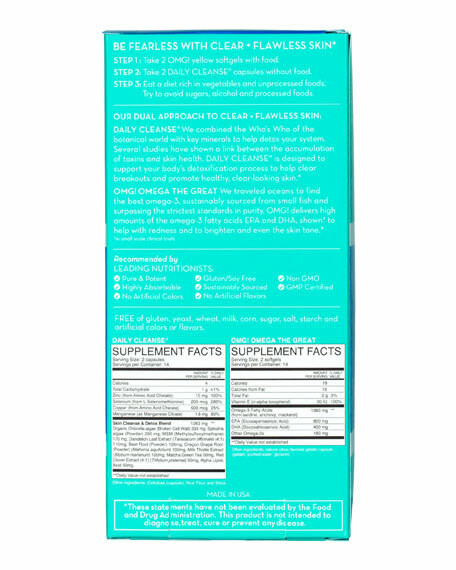 In Daily Cleanse, we combined the Who's Who of the botanical world with key minerals to help detox your system. Several studies have shown a link between the accumulation of toxins and skin health. Daily Cleanse is designed to support your body's detoxification process to help clear breakouts and promote healthy, clear looking skin. For OMG! 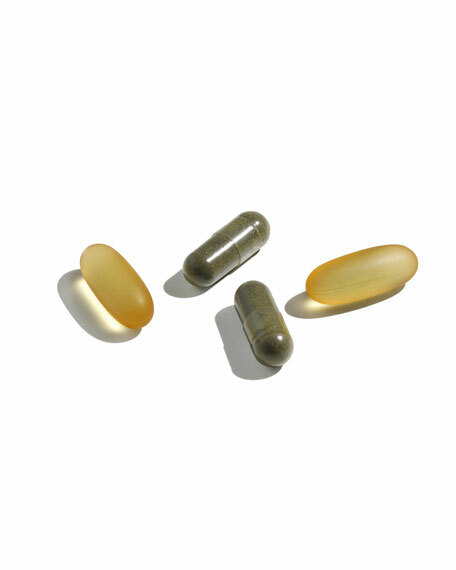 Omega the Great, we traveled oceans to find the best omega-3, sustainably sourced from small fish and surpassing the strictest standards in purity. OMG! delivers the ideal ratio of omega-3 fatty acids EPA and DHA, shown in small scale clinical trials to help with redness and to brighten and even the skin tone.